This handsome spider is only 3 mm in length; this is a very close up picture taken in my Phoenix yard with a Coolpix 990 in macro mode, February 2003. 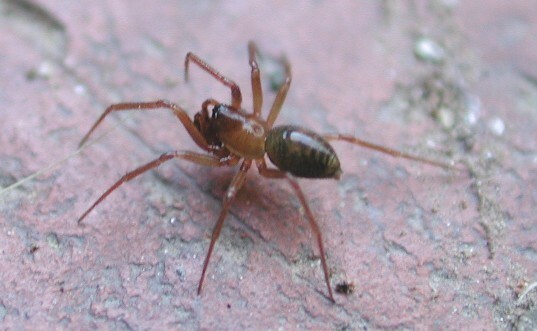 Most sheet web spiders are so small and delicate that few people ever notice them. Only on a dewy morning when their webs collect the tiny droplets of water does their abundance become appreciated. Richard Bradley kindly provided identification of this image specimen.